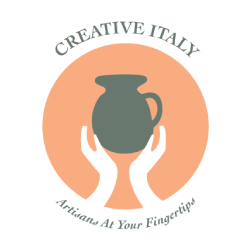 Are you planning a special event in Italy involving music and dance? Whether you are looking for an experiential journey with your family and friends, for a team building activity for your corporate event, or entertainment for your destination wedding, our Destination Management Company can conceive, propose and organize some unique and creative activities for music and dance lovers. For example, you can have your friends, guests or delegates join authentic lessons with local musicians, learn how to play typical instruments, sing in ancient dialects, and learn some “new” dance moves. With this article we want to provide you with a background on Italian folk music and dances, to inspire you in the choice of private tours and activities to enrich your next Italian special occasion. Regional music and local dances are a reflection of the country’s deep and complex history. In fact, the Italian national unification came quite late compared to other European countries, and so many of the separate cultures scattered around the boot remained heterogeneous until quite recently. In north-western Italy, the music in some parts of Piedmont and Liguria preserves the influence of Occitania, an ancient region of southern Europe, which in turn retains characteristics of the ancient Celtic influence with flutes and bagpipes. In Trentino Alto Adige, particularly in the province of Trento, folk choirs are the most common form of music making. Here, the heritage of the German-speaking neighbors is quite obvious when you witness a Schuhplattler performance, during which the dancers stomp, clap and strike the soles of their shoes (Schuhe), thighs and knees with their hands held flat (platt). Things are decidedly more calm in Emilia Romagna, homeland of the ballo liscio – literally, smooth dance. Couples love this ballroom dance, which originated towards the end of the 19th century by mixing elements of waltz, mazurka and polka. But in other parts of central Italy, the tempo gets groovy again, in a way that sends you back to Medieval times! Saltarello, named after the Italian verb “saltare” (jump), is a joyous dance that is popular in Lazio, Abruzzo, Molise, Marche and Umbria. The first mention of the saltarello is in a fourteenth-century manuscript probably of Tuscan origin, and the dance enjoyed great popularity in the courts of medieval Europe. It is quite difficult to resist the temptation to hop to the beat and harmony of the “tamburello” tambourine and the “zampogna” bagpipe or the “organetto”, a type of diatonic button accordion. In southern Italy, the most characteristic dances are represented by the tarantella and its fast upbeat tempo. The music is most commonly played with a mandolin, a guitar, an accordion and tambourines. Flute, fiddle, trumpet and clarinet are also used. The name of the dance changes from region to region. For example, it is called tammuriata in Campania, pizzica in Apulia’s Salento region, and Sonu a ballu in Calabria. The dance spread mainly during the Kingdom of the Two Sicilies. According to the original legend, the name was inspired by the tarantula: if someone was bitten by the poisonous spider, he or she had to dance to a cheerful tempo to sweat the venom out. The same story is behind the Apulian variant, pizzica (sting). Although local versions of tarantella differ slightly from region to region, you will find that they all have something in common: a hypnotic effect that will involve your body, mind and soul! Distinctive melodies come from Campania, where the Canzone napoletana is a traditional form of music sung in the Neapolitan language. It is usually performed by a male voice singing solo, and expressed in the form of a serenade or a livelier rhythm. Among the most famous songs of this genre, are ‘O Sole mio and Funiculì, Funiculà. Sardinia features its own inimitable style, the Su cantu a tenòre, or a style of polyphonic folk singing that was included in the Intangible Cultural Heritage by UNESCO in 2005. Although it is difficult to establish precisely the origins of tenores singing because of the entangled history of Sardinia, some historians date it to around 3,000 years ago! The traditional singing is related to shepherd life, to their loneliness, only in touch with nature. The Tenores singing is often accompanied by the evocative traditional dances and costumes. Did we inspire you? Would you like to add an authentic dance activity in your next corporate event in Italy? Or perhaps enjoy a music-themed private tour in occasion of your family vacations or destination wedding? Contact us now and let us help you plan and organize your special Italian occasion!